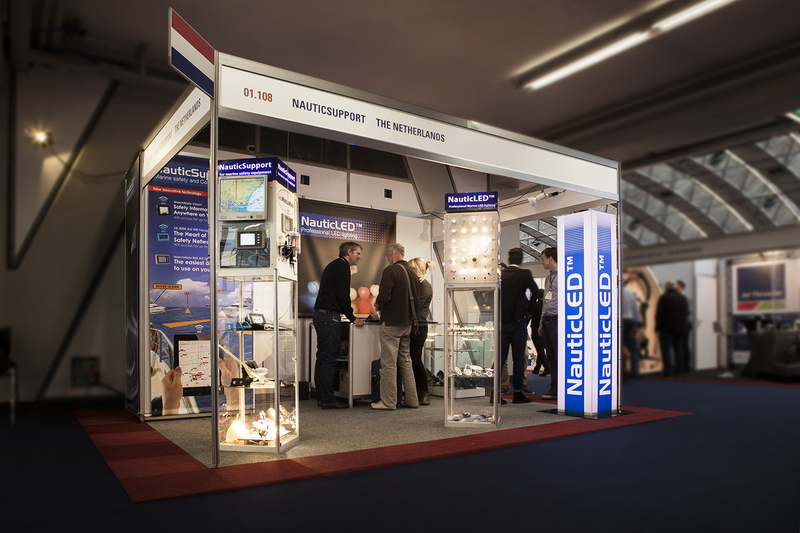 NauticLED™ is started in 2009 with the development of plug and play retrofit led bulb’s. Due to the many complains coming from failures of non-stabilized use of LED’s in the marine sector we decided to develop a large range of LED replaceable bulbs which contain their own internal led driver. The initial driver design was from 10-30V DC and made our bulbs useful for both 12VDC and 24VDC board systems. 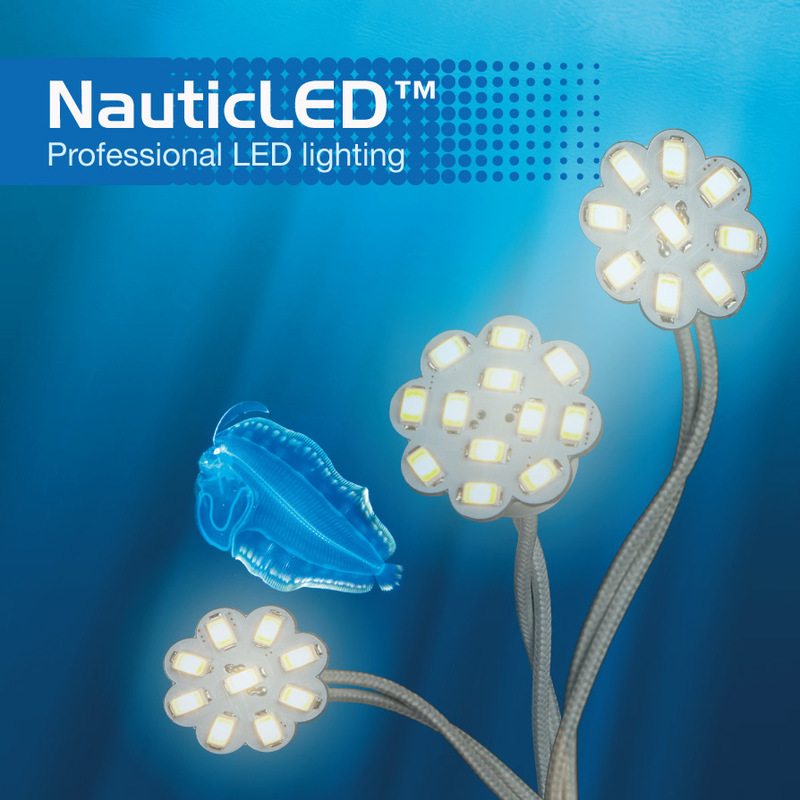 Since 2009 NauticLED™ has become a main player for quality plug and play led replacement bulbs and is exporting them to over 25 different countries since then. The biggest advantage of the use of LED retrofit lights is an instantly saving of 80-90% in energy for lighting. Besides the much lower energy consumption there will be 90% less heat production compared to halogen lighting. Normal halogen lighting produces 10% light and 90% heat of its energy consumption. Because LED lights produces nearly no heat the effect on energy consumption will be much bigger. The airco does not need to cool down the 90% heat production of the old halogen lights. This will result in a much lower maintenance costs and less fuel consumption. Our goal is to constantly optimize the quality and make use of the latest developments in the LED chip industry. A singular attention hereby is for the light colour and the light quality. Especially the colour temperature that is optimized in nearly all of our products to 2700K and use the Grade A quality smd chips. The grade A quality stands for colour consistency (narrow band) and a high colour rendering index (CRI). From experience we know that most boat owners prefer a colour temperature of 2700K above the 3000K and higher which are whiter. latest development is optimizing more and more the drivers and makes them useful for a larger voltage range. Our latest products can be used from 10-36VDC and some products we optimized to 10-40VDC. Our retrofit bulbs are more and more used in the bigger boats and super yachts. Most ships have a 24V AC board system, which make the transition to LED more complicated. Our bulbs contain an internal rectifier which rectifies the AC to a DC power. The rectifier must be compatible with the high frequency, which is a common side effect of the AC transformers. The rectifier also amplifies the DC power with 1,41 which means that a 24VAC external power will be a nearly 34V DC internal which is out of the limit of the internal used drivers. Due the fact that we modified our drivers we made a certain selection of our led replacement bulbs also compatible for 12VAC and 24VAC board systems. This can safe a lot of extra work and investment when the existing power supplies can be used. We have equipped already many super yachts with our NauticLED retrofit solutions. Our new premium G4 models and our new E14, E27 and B22 bulbs can be supplied with these new drivers. Due our high quality light color with a higher color rendering in combination with our new integrated modified led drivers from 10VDC up to 40VDC made our field of application bigger and our products more and more interesting for the professional users. Besides the development of the largest selection of retrofit led bulbs with internal led driver NauticLED™ started the development of complete LED luminaires. Here we also developed complete solutions with integrated led drivers, which can be used and installed easily in variable voltage applications. Our latest diffusor light serie, which we introduced at the METS, is a new approach of lighting. These lights are 100% buzzing free dimmable and give a shadow free wide-angle light output. For the marine industry we launched two new models, a 3W and a 6W version which are available for 12VDC or 24VDC or can be driven by a constant current external driver (350 mA). Our larger models, 9, 12, 15 and 20W, are used more frequently in residential and commercial applications. All of them available in 350 mA versions. Next to our new NauticLED diffusor lights we launched this year also our new spot lights available in versions of 350 mA and 12/24VDC. New is also our complete new screw mount courtesy light in Poly Carbonate UV resistant and stainless 316 housing both IP67 waterproof and available with 10-30VDC internal drivers or in 350 mA versions. Dimming of led lighting become more and more popular and therefore we developed our own pure 500 Hz PWM led dimmer. Our dimmer has a wide voltage input and can be used from 12 to 32VDC. This dimmer can be controlled digitally trough his 0-10V input port, analog by a potentiometer (100kOhm) on the 1-10V input port or controlled by a push button. The push button port can be powered with a signal from 12VDC up to 230VAC and has a galvanic insolation. Due to the very high dimming frequency of 500 Hz there will be no flickering visual effect. The dimming curve can be linear or logarithmic. The last one is an innovation specially made for the push button control. The logarithmic dimming curve controls better the downside and give the user a linear dimming experience. No matter in which direction you are dimming, you will notice if the dimming is going down or up. With linear dimming this will be a problem from 50% and up, and the downside of the dimming field can be less controlled. Our dimming settings can be set externally with dipswitches to choose the right dimming program or input. Our next step was the development of our dimmable wide voltage led drivers which are buzzing free. We developed a serie of three new drivers in a 350mA, 500 mA and a 700mA version. These drivers can drive 3 power leds at 12VDC, 6 at 24VDC and 9 at 36VDC. The voltage input range of these drivers is 12 to 36VDC. Our next step is to downscale these new buzzing free dimmable led drivers to fit them in our MR11 and MR16 bulbs. Our new B22, E14 and E27 bulbs contain already this new driver and other models will follow soon. The advantage of these new drivers is that in larger applications there will be no more light output differences due to the local voltage drop. The voltage drop will be compensated by the drivers and the lights can be dimmed from 0-100% in combination with our NauticLED dimmers. Our dimmer can dim up to 10A. If it is needed to dim more than 10A, then our new amplifiers can be used to add an extra 10A. These amplifiers can be synchronized with the pwm dimming output and function as a slave from the master dimmer. Every extra amplifier adds an extra 10A capacity. With the combination of our new led PWM dimmer with the dim amplifier and the new dimmable led drivers, we can make professional led solutions even more interesting for many boatbuilders. For the indirect led lighting where often led strip light are used we made a new nano coated version. The nano coating is a new industrial coating method which makes the ledstrip lights IP66 waterproof and fully protected against acid and alkali. The strips are more bending proof and the 3M tapes holds much better. In combination with a large range of accessories the strips are more easily applicable which safes a lot of valuable time. Our colour choice here is also pure warm white 2700K in combination with the highest available CRI. Most common on the marked available IP68 led strip lights have a color of 3500K and up which do not have that warm appearance like our indirect light do have. These indirect lights are also available in a IP68 version in a potted silicone tube. We believe that the introduction of high quality led products in combination with the led control and dimming products is one of the most important technical advantages for the interiors and underwater lighting. We believe that the impact and the high quality led solutions will replace in the coming years all the old low energy efficient halogen and CFL lighting solutions. The LED lamps will become even more dominant every year in the boating industry. The CFL lighting solutions are not popular due to their color temperature, long start up time and lack of dimability. The CFL lighting solutions are less energy efficient than the led lighting solutions. The cost of led lighting solutions will become every day more attractive for boat owners and builders. The coming years the cost will be more stable due to the up-scaling effect of the component production. LED lighting products need higher quality components to increase the durability of the lighting solutions. The availability of better component will increase the durability of the solution. Our goal is to make all our led solutions as durable as possible and improve their energy efficiency even more. Our new G4 premium led bulbs are a good example of this vision as they nowadays produce up to 50% more light output with the same power consumption. The future developments will lead to an increasing energy efficiency in lighting solutions with better colour temperatures and a higher colour renderings. Led drivers and controllers will also become more efficient to get the best out of the new led technics. NauticLED™ will follow constantly all the latest innovations and will incorporate them in their products to keep a leading position in the market. This is just the beginning of a new lighting era and we can expect an immense amount of improvements in the near future.